This trendy design features brushstroke utensils plus a fun distressed font that you can customize with your name or any one line of text. An in-house favorite, this hand-drawn style design features cute, brushstroke utensils plus a line of text in matching, distressed script text. 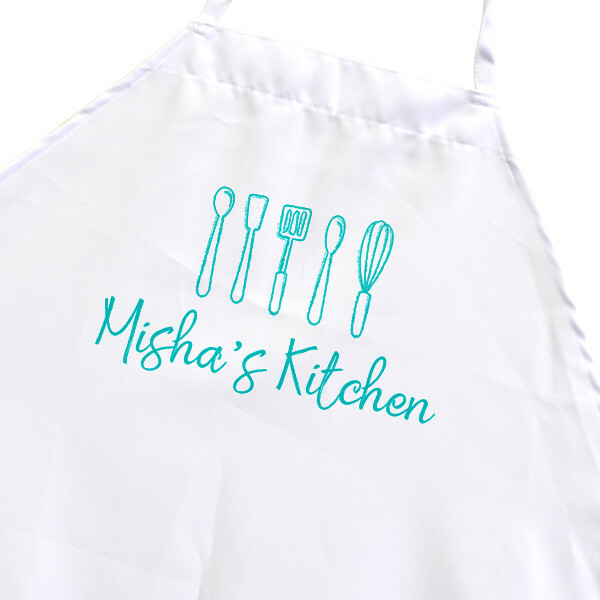 Personalize yours with your name or any other message you'd like (1 line max) for a one-of-a-kind cooking and entertaining accessory that's sure to make people ask: "Where'd you get that?!" Personalize yours now and your order ships in 3 business days.